The U.S. Hotel (1) | Historic Jacksonville, Inc. 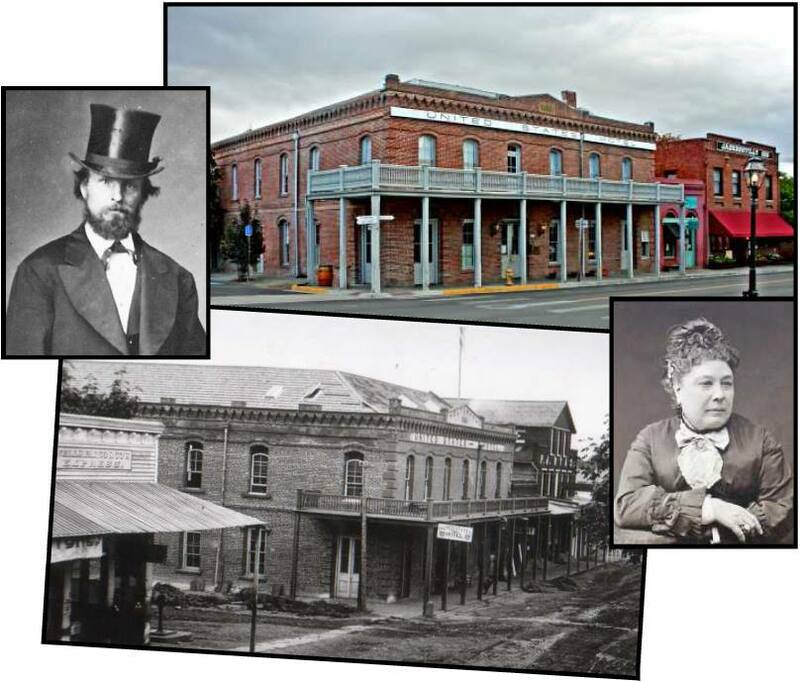 The U.S. Hotel, located at the northeast corner of California and 3rd streets in Jacksonville, looks much as it did when local brick mason George Holt constructed it in the late 1870s for his wife, hotel proprietress Madame Jeanne de Roboam Langier Guilfoyle Holt. De Roboam, who had established the Franco-American Hotel as a famous regional hostelry, longed for a grand brick hotel. It was even rumored that she married Holt in order to fulfill her dream.